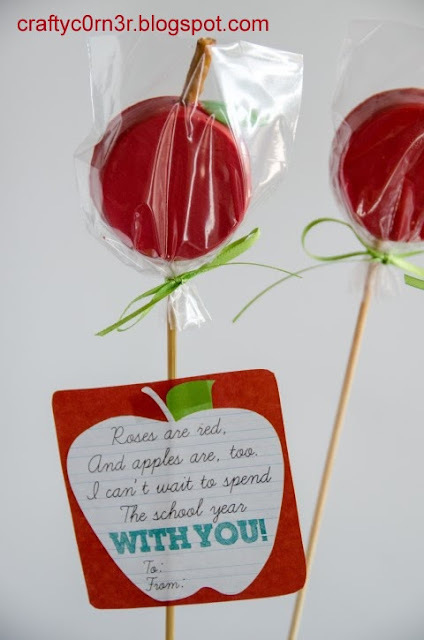 Every year, I like to make a little gift to give the teachers the first time we meet them. It just so happens to be apple oriented in some way. 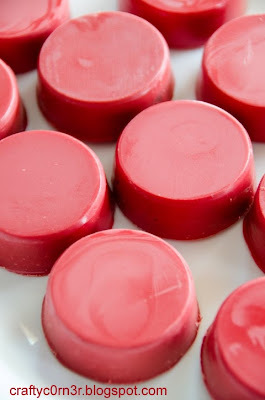 I remember a friend of mine making chocolate covered oreos at her daughter's birthday one time and I loved that idea so much I knew I wanted to copy it in the future, but was always unable to find the cookie molds. The ones that I normally spot have a theme or picture on it, and I wanted plain molds. Fortunately, on the 11th hour, I found the mold at a local bake shop in town. 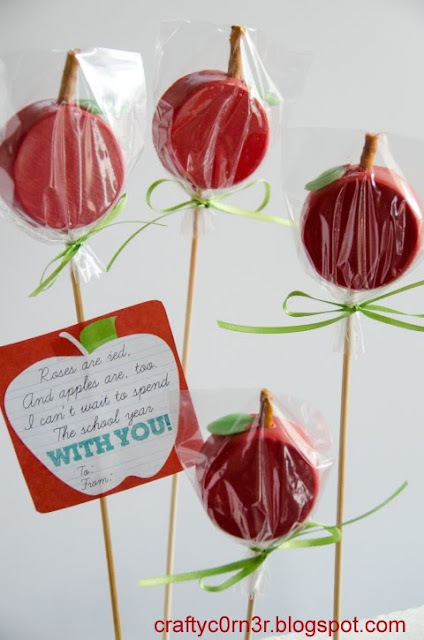 I decided to make these little apple pops made from chocolate covered oreos. Aren't they cute? 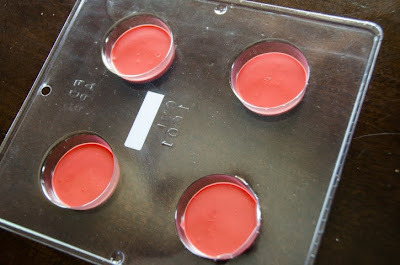 First I filled the cookie mold half way up with red melted candy melts. Next, I placed my oreos on top. 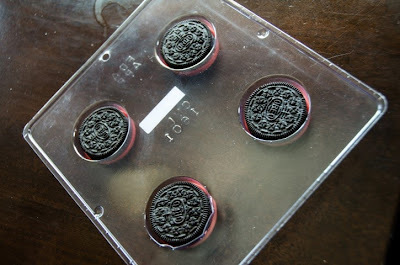 Do not use the double-stuffed oreos as they are too high for the mold. Next pour more candy melt on top of the oreos and scrape the top with a knife so that it is level. Place in the refrigerator for 10 minutes and then pop them out when they harden. I love the way they look already. It may look a little marbly in the picture, but that's just because of the condensation. 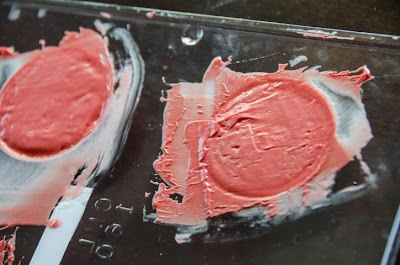 Once they dry up, the color is perfectly uniform! I placed it on a skewer and added a piece of a pretzel stick on top for the stem. Green tootsie roll was used to make the leaf. Instructions on how to make the leaf can be found here. I used a little bit of the candy melt to adhere the leaf. I wrapped the apple with a small cellophane bag I bought at Michael's and tied it with a green ribbon. I found a little note template online that said, "Roses are red, and apples are too. I can't wait to spend the school year with you." Total project I thought was pretty easy and it turned out pretty adorable if I say so myself.